28: Happy 7th Birthday to my Firstborn! 07: What is the Ketogenic diet? 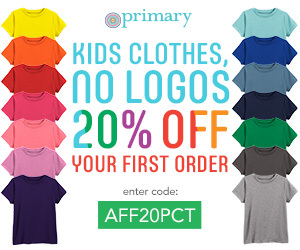 09: “Redshirting” Kindergarten – Would I Do it Again? 26: What is a Bullet Journal? 12: Is Lavender Essential Oil Safe for Kids? 11: Son #1 is 6 Years Old! 29: Essential Oil Basics: Part 1 – What are Essential Oils? 28: Big Plans for 2016! 22: Should We Have Another Baby? 24: I Have a “Threenager”! 19: One Word Wednesday: PACKING!! 07: Is this thing on? 06: Awesome Gift Idea – Personalized Name Necklaces from Nayme! 05: I Almost Forgot About Christmas Cards! 01: Get Ready for Cyber Monday! 28: Shop Online This Black Friday! 20: Yummi Pouch Makes Snack Time Fun for All Ages! 05: The Family Bed – Are You In or Out? 03: Hey Kids – Even Ashton Kutcher says Life is HARD WORK! 28: Your Kid = Comic Strip Star! 01: phil&teds Stroller Deal at zulily! 31: Wordless Wednesday – Strawberry Monster! 01: It Works! Ultimate Body Applicator – 72 hour update and GIVEAWAY!! 24: Big Time Bloggers Need a Legit Media Kit! 19: Real Kids Shades Giveaway! 15: This Week at Zulily! 17: Technology and Organization Combine with Mabel’s Labels! 08: I Still Love You! 21: Happy Campers Love Mabel’s Labels! 11: Glow Bug Cloth Diapers Giveaway! 03: Mabel’s Labels 10th Birthday Celebration – 40% off! 21: Free Wedding Website from Wedding Paper Divas! 14: Your child, your CHOICE! 04: Super Yummy Stuff from MySuperFoods! 01: 1000 Facebook Fans FREE MONEY Giveaway! 21: Hey, 17 year old me! You are an IDIOT! 16: Get Organized in 2013 with Mabel’s Labels! 11: The Honest Company Giveaway! 10: This New Year, baby clothing needn’t be fashionably expensive for new mums. 01: 2013…the year of ME! 19: Wordless Wednesday – Ball? 29: 2012 Winter wrap-up #5: Toddler Toys for FREE! 28: Tiny Prints 30% Off Sitewide Sale EXTENDED! 27: 2012 Winter wrap-up #4: Don’t Forget the Kiddos! 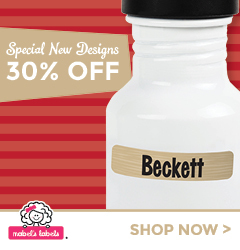 26: Cyber Monday Sale – 40% off at Mabel’s Labels! 26: 500 Facebook Fans Giveaway!!! 06: The “NOT a cloth diaper” giveaway! 02: Get ready for the holidays! 01: Wordless Wednesday – Halloween Edition! 21: The Great October Giveaway! 17: Wordless Wednesday – Yummy Vegan Food! 15: It’s Halloween at Mabel’s Labels! 11: Interested in Montessori Parenting & Education? 09: My current CD stash! 27: Celebrities Rock the Post-Preg Panel, too! 27: Cloth Diapering – Fleece Cover GIVEAWAY! 19: It’s International Talk Like a Pirate Day! 02: First Birthday Party SUCCESS! 25: My August Baby – 12 MONTHS! 17: Parenting PSA – No Shame in my Game! 09: NEW Blog Hop – Tuesday Truths! 03: Join the Mommy Blog Hop! 26: Parenting PSA – Coffee, coffee, COFFEE! 11: We’re all AP moms! 09: I don’t buy shampoo, but my hair is clean! 19: Create the perfect green smoothie! 23: Wordless Wednesday – I’m a genius! 16: Wordless Wednesday – My new kitchen! 08: How many licks does it take to get the Chickenpox? 01: How is it November already?! 19: Wordless Wednesday – What’s for dinner? 11: Could I be…a cloth diaper addict?! 11: Why didn’t I think of this before?! 06: Sometimes, you just have to pick something! 12: More fluffy mail on the way! 01: A house with no garbage?! 03: I’m going to have another niece! 23: I need an intervention! 18: Do you see what I see? 23: Not a baby-related post! 16: I never thought I’d be so excited about diapers! 09: Oh, so you’re a Flexitarian!